Whether dining in or taking out, we want our restaurant to be your restaurant. 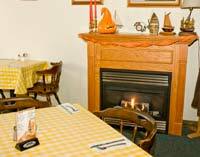 George’s Seafood and Bar-B-Que restaurant is a great year round family eatery nestled in the foothills of the beautiful White Mountains in Plymouth New Hampshire; also home to Plymouth State University. 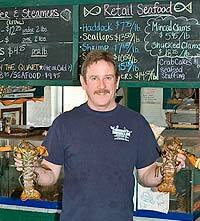 Originally established as the Seafood Center years ago, the restaurant was purchased by a fella named George in 1997. George’s objective was to carry on the tradition of providing area diners with a broad selection of expertly prepared fresh seafood dishes that the landmark Seafood Center had become famous for. George was also personally fond of authentic, slow smoked barbecued ribs so he added some barbecue equipment to the kitchen and began turning out the area’s best ribs. George’s ribs and barbecue dishes became such a hit that he changed the name form the Seafood Center to George’s Seafood and Bar-B-Que. In 2004, Dave and Pam Castelot, along with their young daughter Emily, moved to Plymouth and purchased the restaurant from George. Our focus is on family dining and we set out to build a network of suppliers who understand our commitment to providing our customers with the freshest and best quality ingredients available. “The proof” as is said, “is in the pudding”. 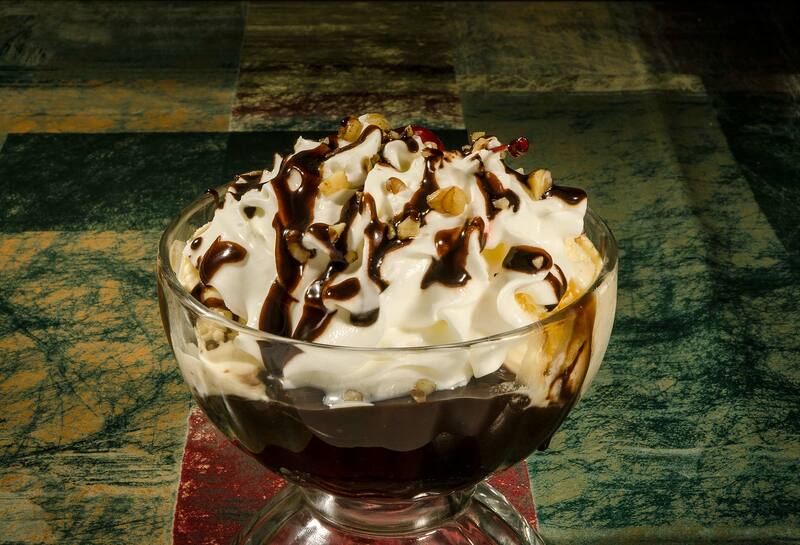 We don’t serve pudding but when your food reaches your table you know it was prepared just for you and – the way you like it. Our seafood is ocean fresh and individually hand battered, our steaks are hand cut to order, our burgers are hand formed, ribs slow smoked over hickory coals……..you get the idea. Don’t let our appearance fool you! 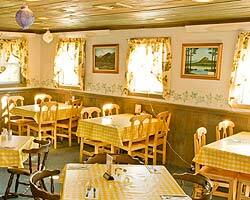 We are a clam shack at heart after all and it is not easy to look like a ramshackle, weather-beaten old seaside café. (this usually takes years of neglect) We spend a fair amount each year on upkeep, we are neat and clean, cozy in the winter and cool in the summer. We don’t sparkle and we don’t buy new carpets each year. We prefer to put our money where your mouth is in order to keep our pricing as family friendly as possible. So have a seat and enjoy your meal. You will be happy to know that we started frying with trans-fat, cholesterol free canola oil long before it was popular or mandatory to do so. And when you get your bill you will see you haven’t busted your budget and you will be able enjoy some of the other activities the area has to offer. Thank you for visiting our site and we hope to see you real soon.